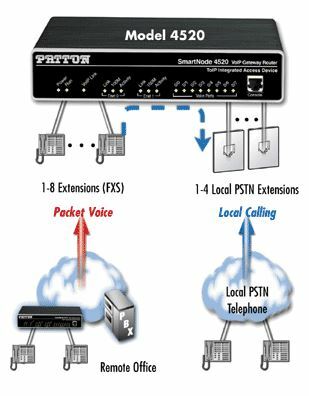 The Patton SmartNode 4526 is an analog VoIP Router with 6 FXS or a combination of 4 FXS and 2 FXO ports. These SN4526 gateway routers, like all the SN4520 series units, interface analog phone equipment to the IP network. As routers, they prioritize voice over data. 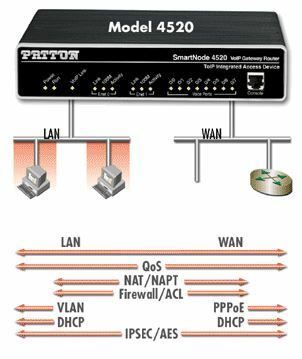 All the Patton the SmartNode 4520 units feature dual 10/100 Full-Duplex Auto-Sensing Auto-MDX Ethernet. They can be configured and managed through the web interface, CLI, Telnet, Console and SNMP.